The first thing I thought when I saw this was "nice abstract painting." So pretty and delicate. But it's not. Like Steve Coogan says in The Trip: "You can't paint this. I mean, you can, but it would be rubbish." What is it? 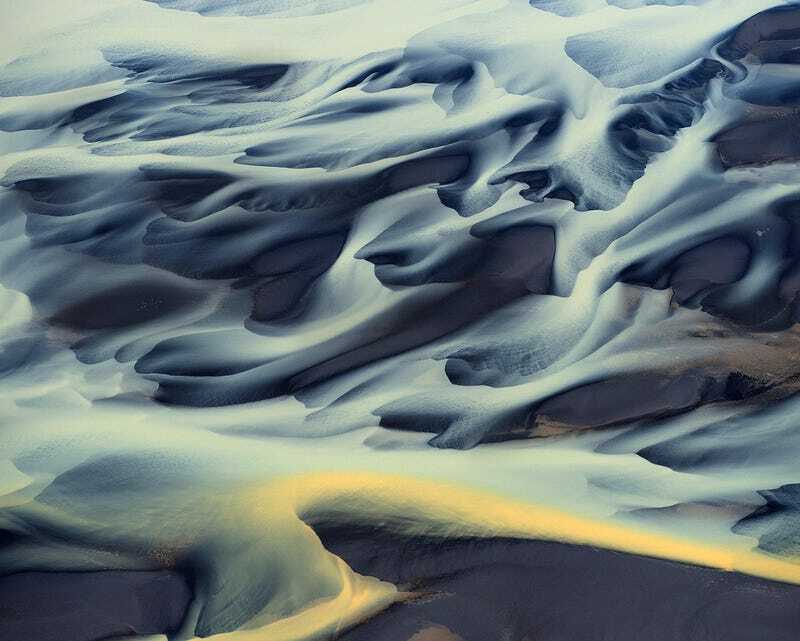 It's an aerial photo of an Icelandic river, taken by Andre Ermolaev, a Russian photographer who is in love with this surreal island in the middle of the Atlantic. I don't blame him. Check out his beautiful work here.